Pasta with Roasted Tomatoes is a quick and easy recipe that you can whip up in about 2o minutes. There’s nothing fancy about this recipe although it has all the benefits of a healthy meal . 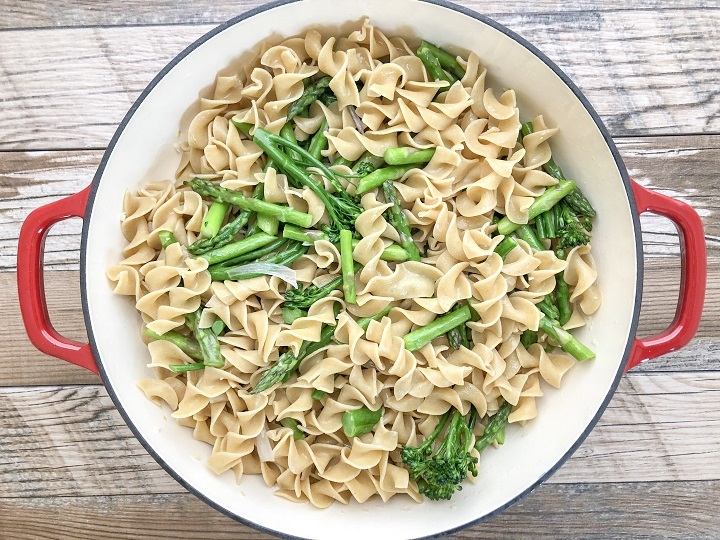 It has simple ingredients that are fresh and nutritious which makes it a perfect choice when you’re looking to provide your family with a quick and healthy dinner. How often do you find yourself struggling with dinner ideas? Better yet, what about those times when you’re not sure what to cook even after having gone grocery shopping. I’ve experienced that on several occasions and still do from time to time, but I’ve gotten better at being more creative and using what I already have in my kitchen. Really, it’s about being creative in the kitchen with the most simple ingredients. In my opinion, those are the recipes that really stand out, are more practical, and are the most memorable. 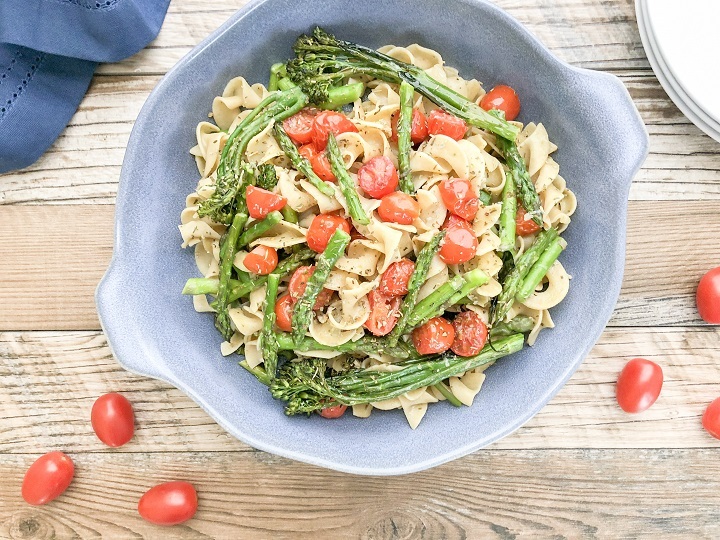 I think this Pasta with Roasted Tomatoes recipe is a great example of how you can turn simple ingredients into a tasty and nutritious dish that you can feel good about. In the next section, I’ll simplify the ingredients list even more to ensure that you have all you need. 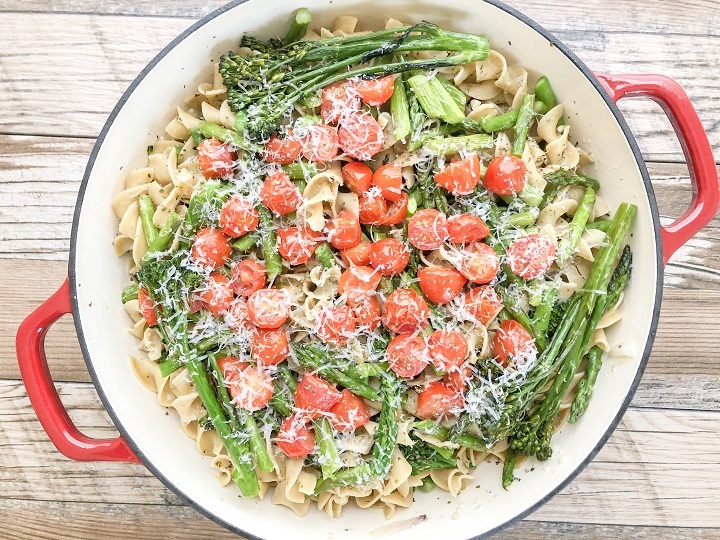 I can’t stress enough about the importance of reserving at least 2 cups of pasta water especially for recipes such as this Pasta with Roasted Tomatoes. 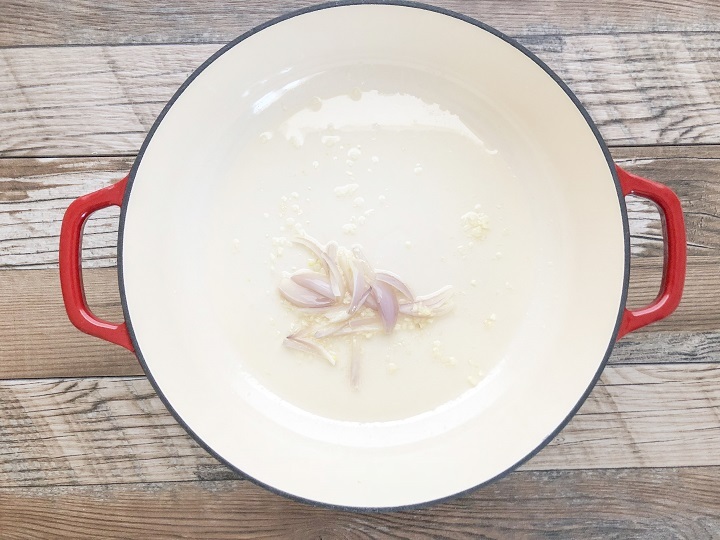 This water can be golden for certain pasta dishes as it creates a delicate sauce or can be used to thin out sauces that are thick. 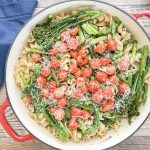 Pasta with Roasted Tomatoes is a simple and quick pasta dish made with plump roasted cherry tomatoes combined with sauteed garlic, shallots, asparagus and broccolini in a delicate sauce. Here's to the perfect weeknight dinner. Boil water and prepare pasta according to packaging for al dente pasta. Reserve 2 cups of pasta water. (You may not need to use all 2 cups of reserve water, but it's better to have extra on hand). In a skillet, add 1 tbsp of olive oil over medium heat. Add garlic and shallots and saute until fragrant. Add one bunch of roughly chopped asparagus and 1 bunch of broccolini. Add a pinch of salt and saute until veggies are nice and vibrant in color. Do not overcook. Veggies should be crisp. Add cooked pasta and 1 cup of pasta water to the skillet. Give one big stir. Add grated parmesan cheese and gently toss. Top with roasted vegetable and Italian seasoning. Add more grated parmesan and a drizzle of olive oil and gently toss until all ingredients are combined. season to taste. 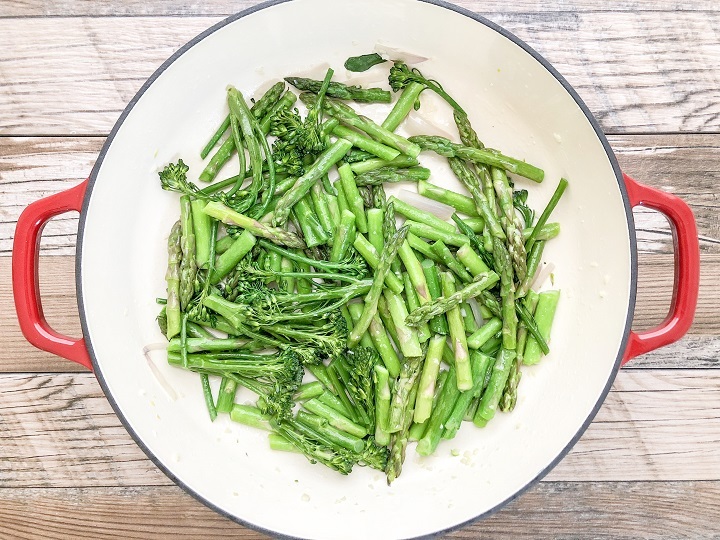 Feel free to saute OR roast all of the asparagus and broccolini. You do not have to saute AND roast. I like to do both as I like the vibrant color and crispness of the saute veggies combined with the roasted veggies.